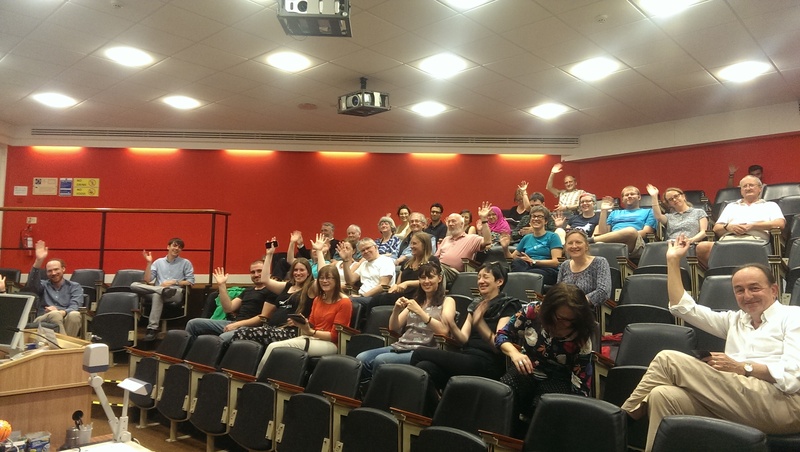 I just wanted to say a personal “thanks” to all who attended ZooCon 2015 in Oxford on Saturday. It was a huge success, with more than twice as many people as last year. Myself and the other Zooniverse team members who were there had a fantastic time meeting so many of our passionate volunteers. So thanks to all the volunteers, team members, and researchers who made it such a fun day. We hope to see even more of you next year! Previous Previous post: Watch ZooCon 2015 Live! Next Next post: Teens Take Zooniverse!